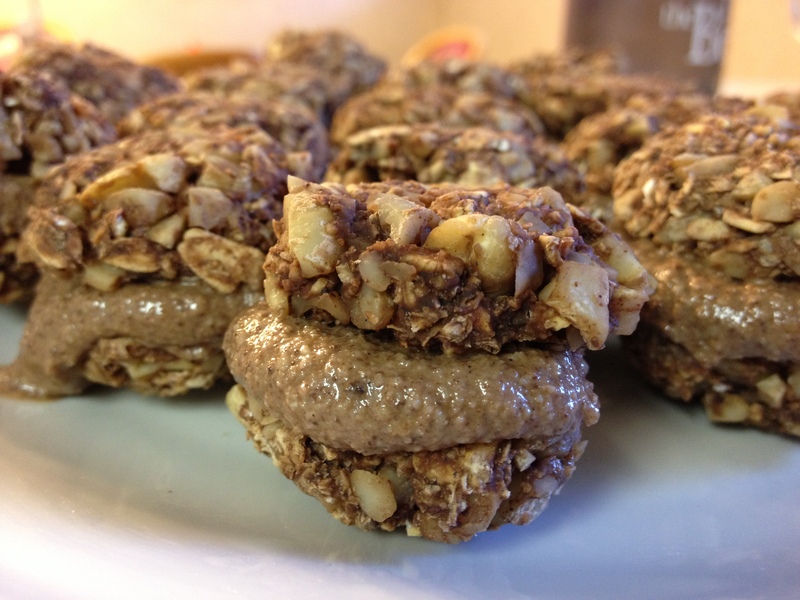 Oatmeal Cashew Cookies with Frosting! These cookies are tasty, though they take a little bit of time to prepare, they are great to have on hand, AND my 15 year old sister enjoyed them!!! (She never likes anything raw I make, so this made me rather happy)!! Enjoy!! *The frosting can be used to make cookies as well, spread the frosting into small rounds on a dehydrator tray, top with fresh fruit and dehydrate for 10 hours!